Don’t let the name of the Telegraph Trail or the associated local weekly newspaper in Durango fool you as to what actually runs up Horse Gulch and over the hill past Grandview: an old telephone line. Yes, this monumental, earth-trembling revelation is true, as was confirmed this week by the few local long-timers who worked on the lines, were served by the lines, are still alive and are still living in La Plata County. Built during the summer of 1906, a group of local investors got the project off the ground through the incorporation of the Florida Mesa Telephone Company with a capital stock of $1,000 dollars, according to Telephony: a Report of International Independent Telephone Convention. It’s line served no more than ten people in the vicinity of the County Road 230 area near Elmore’s Corner. One of those people was Leland Hill, who said that the line was easy to use despite the possibility of there being as many as nine other neighbors also talking on the line at any given moment. Telephone numbers were only three digits long at the time, according to Edie Bukovec, who worked 25 years for Mountain Bell Telephone Company. Maintenance of the line was a job in itself, which rested on the shoulders of local wheat and oat farmer John Bukovec, whose nephew owns the Model Tire Store in Durango. Since the line was tied into the Mountain Bell Telephone Company demarcation point at the current site of Building Specialties Store at the Horse Gulch trail head, a Mountain Bell technician named Thomas Price had to train Bukovec how to do repairs on it. “We called it a farmer line. And they had longs and shorts and this and that kind of rings on it,” Price said, referring to the number of rings you would hear to determine who was calling, as to not answer one of the nine other neighbor’s telephone calls. 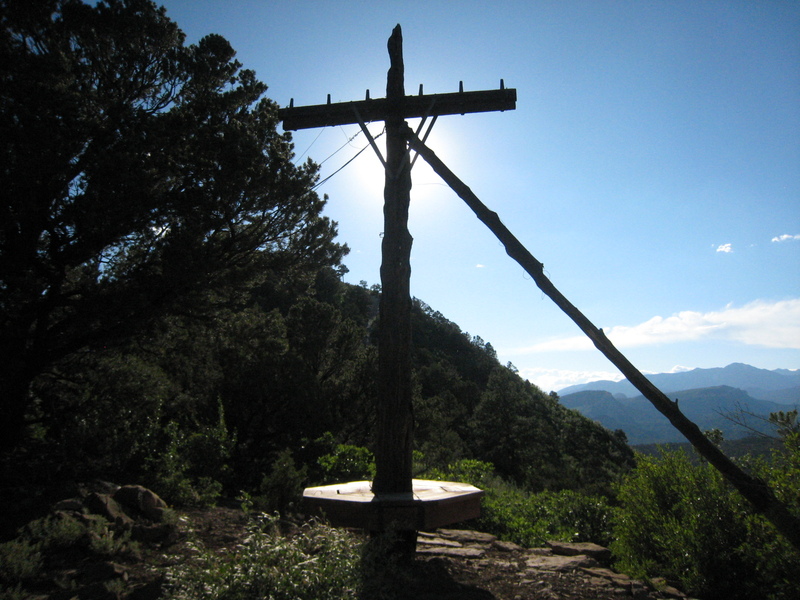 Use of the Florida Mesa Telephone line was abandoned in about 1967, said Price, when Mountain Bell took over the telephone service in the area. Before the Telegraph Trail was built leading up to Pautsky’s Point—also known as Suicide Hill or Telegraph Pass—riders used to ride up to the top of Horse Gulch Road before turning right to cross over private property, according to Trails 2000 founder Bill Manning. Manning is now the Managing Director of the Colorado Trail Foundation. Then they would go up and over a little pass to the south that was very challenging. From there they would get on Sidewinder Road and go west up Suicide Hill to the top of Telegraph Trail, Manning said. Manning laughed at the thought of working up there by himself that day. “It was really hard trail building. The saw work was incredibly hard through that oak brush,” Manning said. 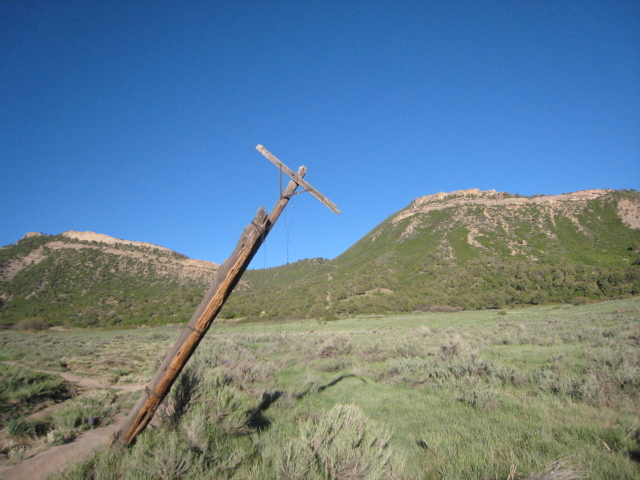 When Telegraph Trail was finished, the Crites Connect Trail was not built yet, and neither was Carbon Junction Trail. At the time, Manning said, he thought the telephone line running up and over the pass was a telegraph line, so he named it Telegraph Trail. By the end, it was a conglomeration of different trail users that worked hard to build the Telegraph Trail. Good information about Telegraph Trail. However it was used by motorcycles for several years before any mountain bikes existed. The motorcycles would go straight up the hill under the telegraph (telephone) line. One of the first machines with adaquate power and suspension to ride such a trail was the DT250 Yamaha Enduro that came out about 1972. The Anasazi decent was a cattle trail along the east sisde of the property line fence. Some of the fence is still visibal on the west (left as you decend) side of the trail as it goes from the top of the ridge down to the first major gully. Ed, your historical insight is rather fascinating to me. It must have been a tough ride getting to the top of the pass there with a motorcycle. Did you motor up that hill with the Enduro? I’ll keep an eye out for that old fence you’re talking about.